A mouth full, but the conference turned out to be one of the top conferences for the quality of the speakers and talks. Together with 999 others I had a great time with lots of inspiration. 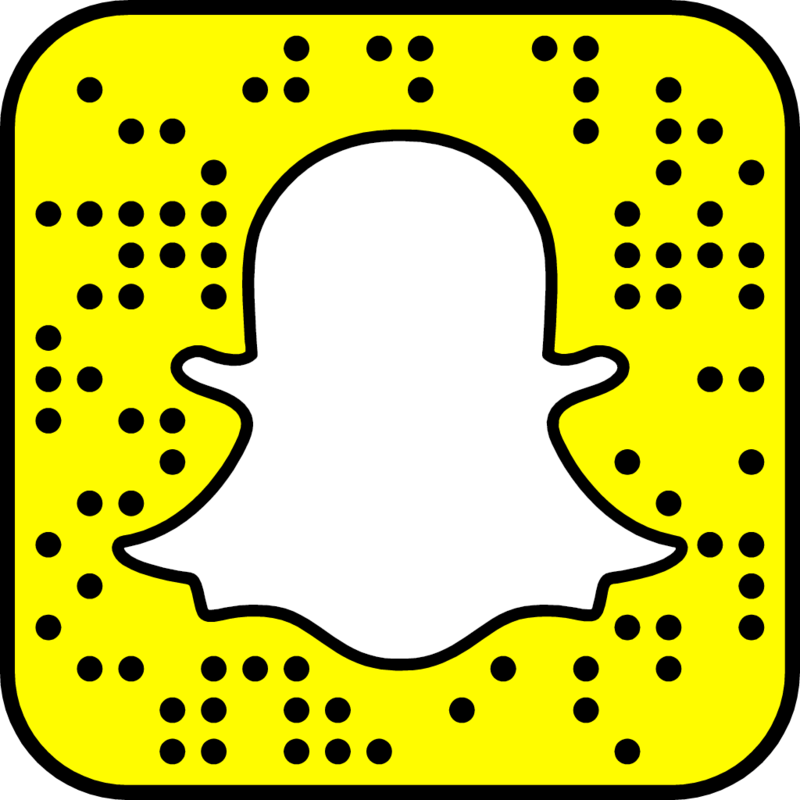 I will try to share some of my impressions. To give a full report is too much to do. However, I did rather extended tweets (if the talk was interesting of course), so I listed here per session the link to a keepstream page and give some highlights, with the use of the visual notes made by Alchemy. The opening session was a blast. Don Tapscott and David Galbraith did a solid overview of developments, Jean-Claude Biver did a amazing talk but Ben Hammersley rocked the most with a great view on the Geopolitics and the role we have in our context, with new orders emerge between the hierarchy driven world versus the network driven world. The second session of the Wednesday was called ‘Re-organization: new workplaces, new business models, social organizations’. Alexander Ostenwalder did a introduction to his splendid book on business model design. For me not so excited though, as I know the book well. Dorian Selz and Bau & Ralston did not have a remember-able story. 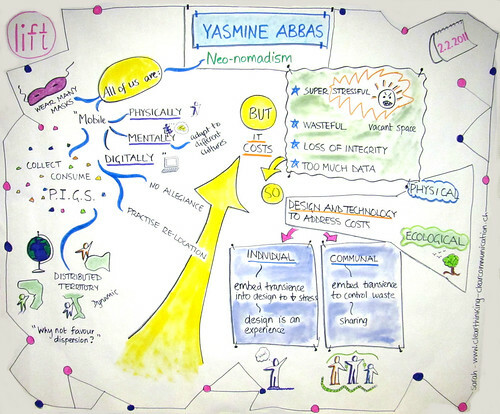 Yasmine Abbas however did a great job introducing the vision on designing for transience, something that is well connected to the ideas of impulse services that adapt to the context. With a rather conceptual view on that. That session completed the first day. Almost. The evening was reserved for the infamous fondue. With 500 people enjoying this typical Swiss food. Great way to interact with other participants. Thursday started of with a session on online communities. Tiffany St James did a good introduction for all community managers. For instance the very wise advise to have an exit strategy in case you have to stop the community. Azeem Azhar added the insights of social repution with the Peer Index. “A double rainbow of a unicorn hapiness”. 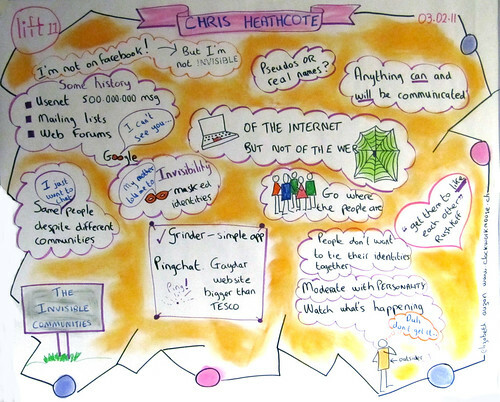 Best talk in this session for me was of Chris Heathcote. This London lad showed the rise of invisible communities. Invisible for Google, in-app communities like Grindr. It felt like someone followed up my Reboot 10 talk on Virtual Gated Communities. With some very insightful thoughts on this. The second session of Thursday was on New Innovation Models. 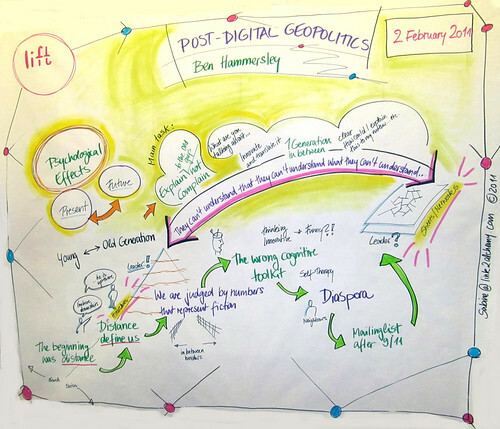 I do not recall which of the three talks were especially interesting but Steve Portigal had certainly some true statements on participatory design. Focus on the cultural insights and create contrast to reveal the key influence factors. 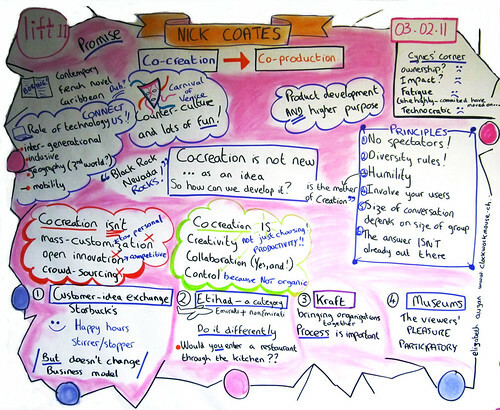 Nick Coates also gave some useful practical rules for co-creation. He ranted also particularly on the nature of co-creation, which is different from crowd sourcing or mass-customization which focuses on the one person. Thomas Sutton had a nice image and model with the delivery tree. A lot of service design principles and open innovation. The session after the lunch was about Games, beyond Gamification and transmedia. A potential very interesting topic, but it turned out to be quiet different from my expectations. Steffen Walz did an introduction in the theory of gamification. Solid but not very new to the story’s I know. Do prototyping as if your are in kindergarten and don’t forget to put in a conflict to save the world. Etienne Minneur did an amazing talk, mainly because of the magical techniques they developed to let the iPhone or iPad react on non-human input. And nice mixes in their projects of real and virtual stuff. 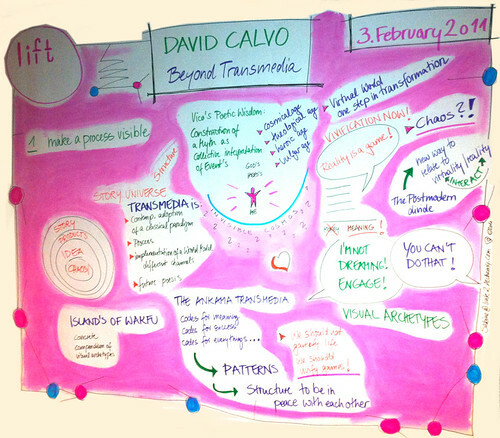 After this David Galvo did an highly abstract talk on transmedia and beyond. On in-between things. Don’t gamify life but use life to vivify games. 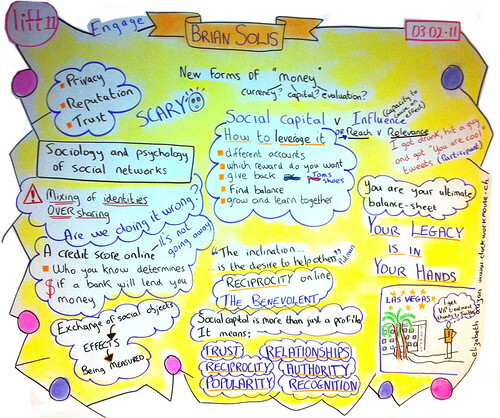 The last session with talks was on Social captial, open banks, monetization of media. The talk of Phillipe Gendret proves that publishers of old media are still stucked in old-fashioned business models. Simon Redfern presented the open bank project. A conceptual interesting thought on making a banking account completely open as basis for ultra transparency and choose the necessary parts to close a bit. The session started with Brian Solis. He is famous on his Conversation Prism. His style was like a priest preaching all of us to built our social capital and guard it. A bit the known hipster marketing talk, but nevertheless true points all of course. Before it was called a day there was a startup competition with the fair winners of Geoli.st app. And a high speed examples showreal of Robert Scoble. All and all a heap of information and inspiration to fill the night. The friday starts with a workshop. I learn within a group of 40 how to optimize all known brainstorm techniques by doing very quick feedback loops. The first session of the friday is called Stories. First Hasan Elehi tells the beautiful story how he has built the most open system of tracking data after he was arrested for potential terrorist attacks. The large amount of objective data makes it become a commodity that gives anonymity. Tara Shears tells us on the lateste developments in the CERN research centre. With the huge ‘race circuit’ for particles. Marcel Kampman has some great slides for a great story. 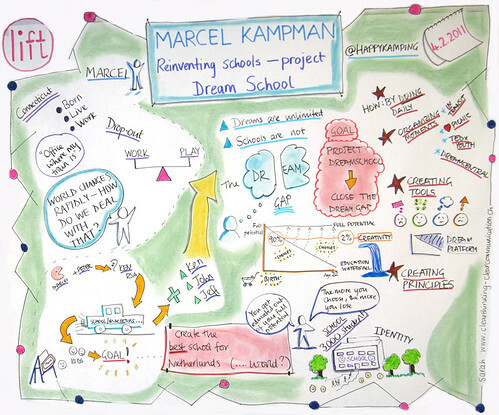 How to make a dreamschool that moves away from the current flow of learning and tries to close the dream gap. The project is still in the start-up and we need to wait what the definite form for the dreamschool will be. The final session I can attend completely is on Near Futures. Vlad Trifa does some bold statements on the Internet of Things. The IoT is democratizing access of devices to the web. Sabine Hauert tells afterwards the status of robotics. There is a reality gap with the new robots; they are everywhere but don’t feel as robots anymore. She shows nicely how we create our own barriers for developing better life optimizing robots because we are afraid of losing control. For me the best talk of the conference was given by Kevin Slavin. He talks on the way the algoritms moved into our lifes. And how they are differentiating from ourselves. With often an ending in a crash. He pleads to us all to go search for the dark pools, to step out the algo world. The closing session on Deep Space I had to leave half way. I saw the last presentation of Claude Nicollier on video. With great experiences from outer space he looks with a different view to the earth. Honor Hargar listened to space with weird sounds as result. 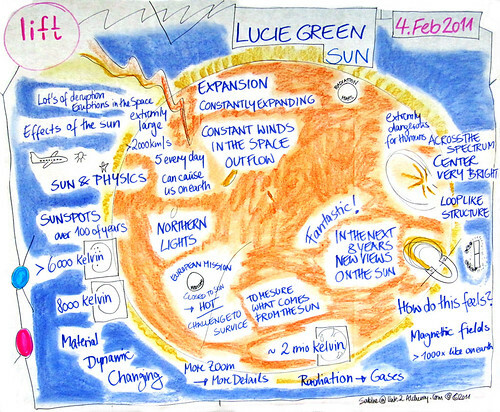 Lucie Green showed us all on the huge energy the sun is producing. The closing session rounds up a great conference. Looking to the beauty and hidden dangers of outer space is also a great way to conclude all the talks. Where Ben Hammersley started the conference with a plead for explaining all the new stuff to the generations above us and so paving the road for innovation. The conference gave a lot of fuel for doing so, in by telling what is happening right now and tomorrow. How to dream instead of learning like Kampman showed, like the ultra transparency and transience states we are creating as Abbas and Elehi showed us. And some of the talks showed us also a next leap forward out of the current state. When the current social capital will have new values in the invisible communities that are emerging as Heathcote showed us. 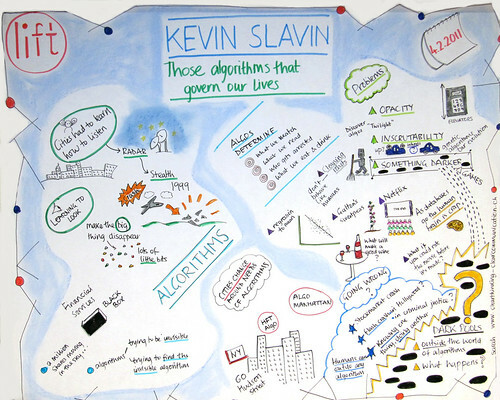 And like most of all Kevin Slavin does so with his plead to break loose from a programmed world steered by algoritms. It proves we are growing into a new phase of the influence of the near future to our life. You can watch all talks online.